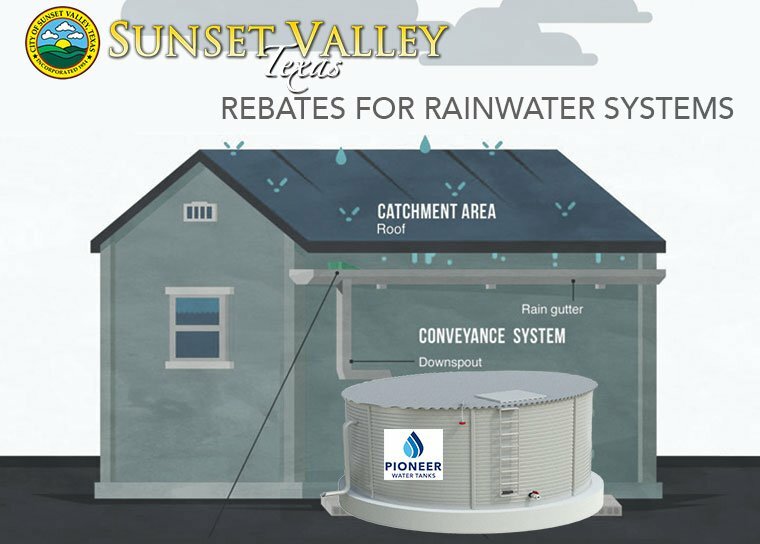 The City of Sunset Valley offers financial incentive rebates for rainwater systems to encourage water conservation. Qualifying residents can receive up to $3,500 per household towards the cost of water storage tanks, gutters, leaf screens, first-flush diverters, conveyance piping and for water treatment systems. 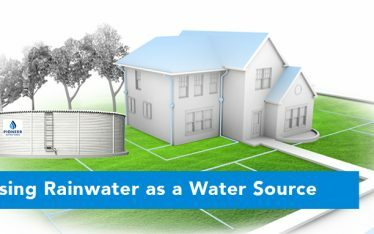 – The rainwater cistern(s) must be either UV resistant or enclosed/painted Rebates will be issued after the system is installed and inspected by a Public – Works representative and a final cost report submitted. 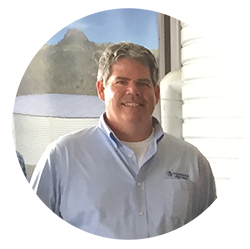 Pioneer Water Tanks America dealer network can design a rainwater system that complies with the requirements for the City of Sunset rebates and can submit plans for the inspection of a Public Works representative. – For the first $500.00 spent, 100% of the cost can be rebated back to the qualifying resident. – For systems that cost more than $500.00, half of the cost can be rebated back with a total rebate of $3,500 available per household. Homes with metal, slate or clay roofs can collect water for potable purposes. Other roof types can only use collected water for irrigation purposes. – A pre-inspection must be completed before being approved for a rebate. 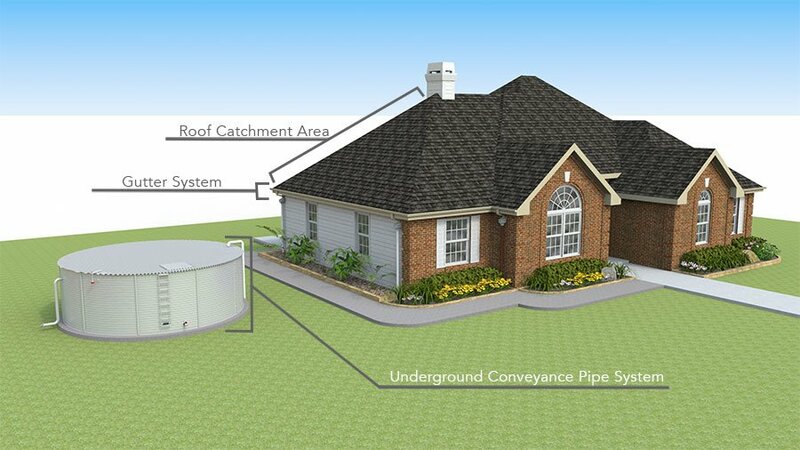 – A system must collect a minimum of 300 gallons and be able to store one inch of rainfall based on roof catchment area. Most homes will need to collect at least 900 gallons of water. – The system should last for a minimum of 20 years. – Tank specifications must be included in the application. 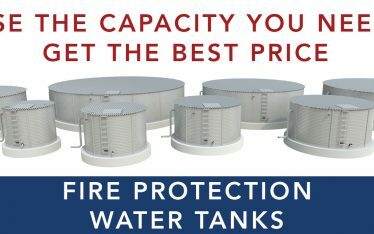 – Tanks should be UV resistant or enclosed/painted. – Rebates will be issued after the system is installed and inspected by a Public Works representative and a final cost report submitted. 2.) Site Plan including layout of buildings, streets, and proposed tank location. 3.) System drawing including design calculations and how water will travel from the roof to the tank and then where the water will be used. 4.) Operation and maintenance guide explaining how the system works and how it will be maintained. 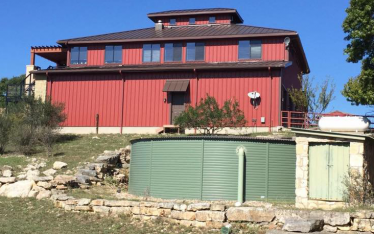 The State of Texas allows components of rainwater systems to be sales-tax free. View the Section 151.355 of the Texas Tax Code (link). In order to have your system components be sales-tax free, you must fill out a Texas Tax Exemption Application Form 01-339 and give it to the supplier at the time of purchase.